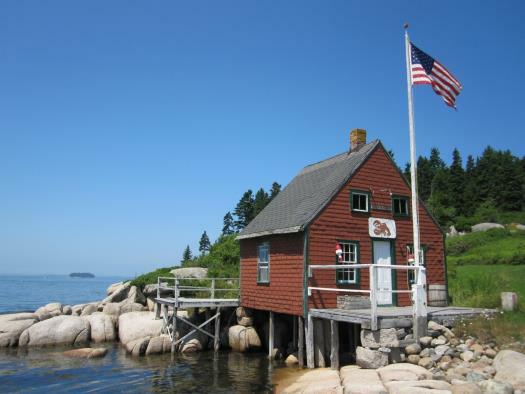 Ocean Boulevard is a beautiful contemporary home with dramatic views of Stonington’s thorofare. 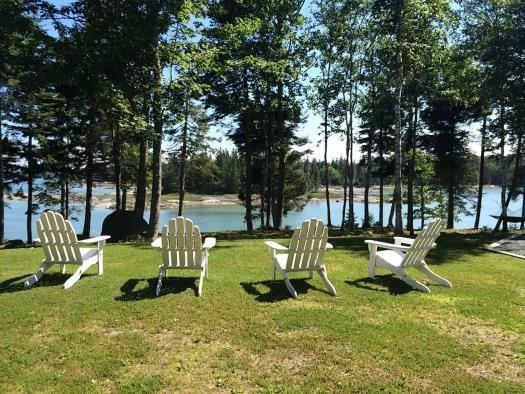 The home's unique position gives you the distant sights of three light houses and views of Isle au Haut and many islands in between. The home's elevation provides western exposure for phenomenal sunsets. 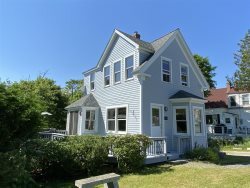 Ocean Boulevard is a three bedroom and two bathroom house on the outskirts of Stonington village. 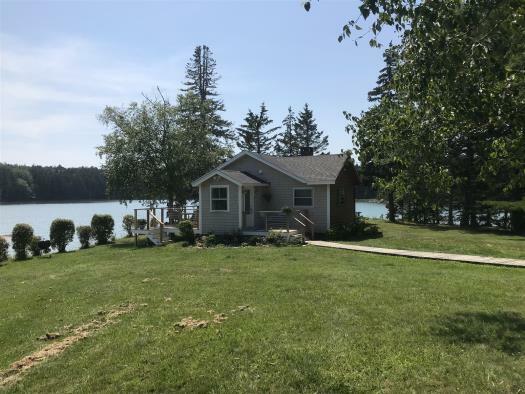 The home has many thoughtful and beautiful touches including hardwood flooring, granite countertops, nice appliances and a gorgeous ocean view deck with a gas grill in place. The home is all on one easy-to-maneuver level. Ocean Boulevard has a beautiful kitchen with a dishwasher, food processer, coffee maker, microwave and many other helpful gadgets to make preparing meals a breeze. Off the kitchen is a inviting living area with a comfortable couch and cable television. 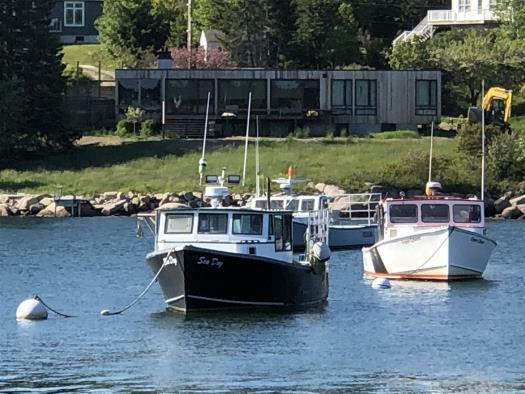 From the living room there is a large sliding door which takes you out to the deck where you can enjoy scenes of the thorofare with the many lobster vessels, sail and pleasure boaters and schooners coming and going in the harbor. Ocean Boulevard has three bedrooms. The first bedroom has two twin beds, a night table, a dresser, and a large closet. The second bedroom has a day bed – which converts in to a king bed – making this room either a quiet work space with a small desk or an additional bedroom with a closet. The master bedroom has a queen bed, a large closet, a dresser, and a sliding door which opens to the ocean view deck. The master bedroom also has a spacious bathroom with a large soaking tub, a shower stall, and soaring cathedral ceilings and skylights. Ocean Boulevard also enjoys a strip of ocean frontage on the opposite side of Indian Point Road making it easy to launch your kayaks or the one that comes with the rental of the home. 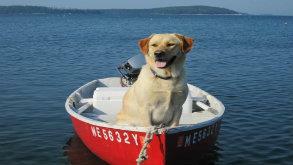 Tenants have use of this kayak upon the return of the liability wavier. 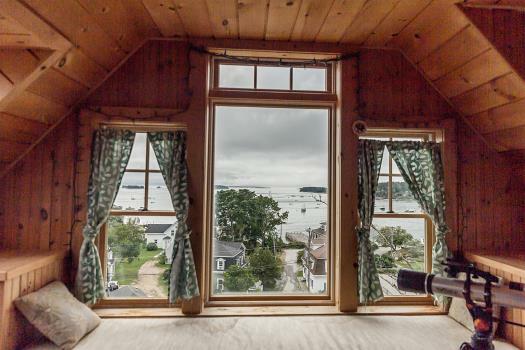 Spend your next holiday in this beautiful seaside home in Stonington’s quaint village.